Product prices and availability are accurate as of 2019-04-21 07:36:08 UTC and are subject to change. Any price and availability information displayed on http://www.amazon.com/ at the time of purchase will apply to the purchase of this product. 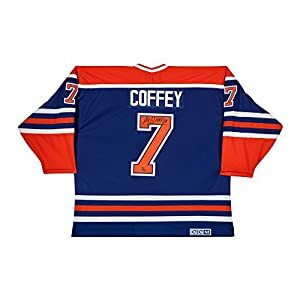 Paul Coffey helped the Edmonton Oilers win three Stanley Cup Championships from 1980 to 1987 before being traded as the Oilers dismantled their team. Coffey retired in 2001 after 21 seasons playing for nine teams in the National Hockey League. He won the Norris Trophy on three occasions and appeared in 14 NHL All-Star Games. 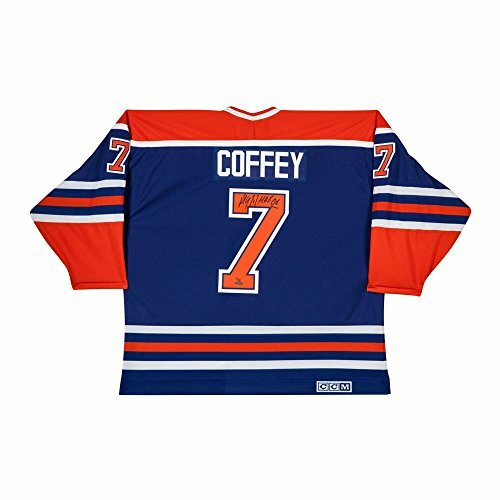 Paul Coffey had his number retired by the Oilers in 2005. In his first year of eligibility, Coffey was selected to be a member of the Hockey Hall of Fame. 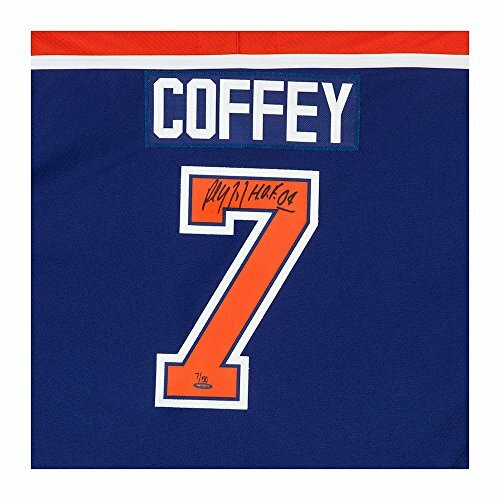 Coffey has signed the back of this authentic CCM jersey on the top segment of the #7 and inscribed "HOF 04" next to his signature. Coffey"TMs signature and inscription are deemed authentic by virtue of Upper Deck Authenticated"TMs Five-Step Process.